We were hired by Lucinda Hare to read and promote The Dragon Whisperer. All opinions are our own. 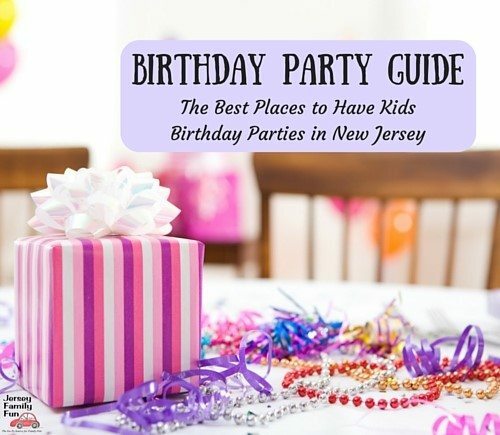 We appreciate their support of Jersey Family Fun that allows us to share with families information about books we think your family may enjoy. In Lucinda Hare’s The Dragon Whisperer, you can do just that. Hare’s fantasy novel, the first in a series of five, follows a young girl named Quenelda, who is a dragon whisperer. Through many twists and turns, Quenelda befriends a gnome named Root and together they work to defeat the dark forces that threaten their safety. Eleven-year-old Quenelda has always had a special bond with dragons; she even has a battle-dragon best friend named Two Gulps and You’re Gone. But despite Quenelda’s special gift, she longs for more. Her dream is to become a dragon warrior like her father, so she can help him fight the evil hobgoblins. But since she’s a girl, she can’t follow her dream. Root the gnome, on the other hand, hates dragons. He’s scared to death of them. So Root is not exactly thrilled to become squire to young Quenelda. However, this unlikely pair must find a way to work together, so they can save the Seven Kingdoms from evil. Photo credit Jersey Family Fun/Crystal P.
The Dragon Whisperer is technically a book for children, but I found myself drawn into the story right away. The characters are well-formed and likable, and the story takes so many exciting twists and turns, it’s hard to put down. It has all the elements of a great fantasy novel, but it’s not your typical “dragon tale.” It’s deeper and more engaging than many of the fantasy novels for adults I’ve read. One thing I really love about this book is the strong female protagonist. Quenelda is smart and spunky, and she doesn’t let fear or doubts keep her from tackling some scary opponents. It’s great for girls and boys to read a book with such an awesome female character. 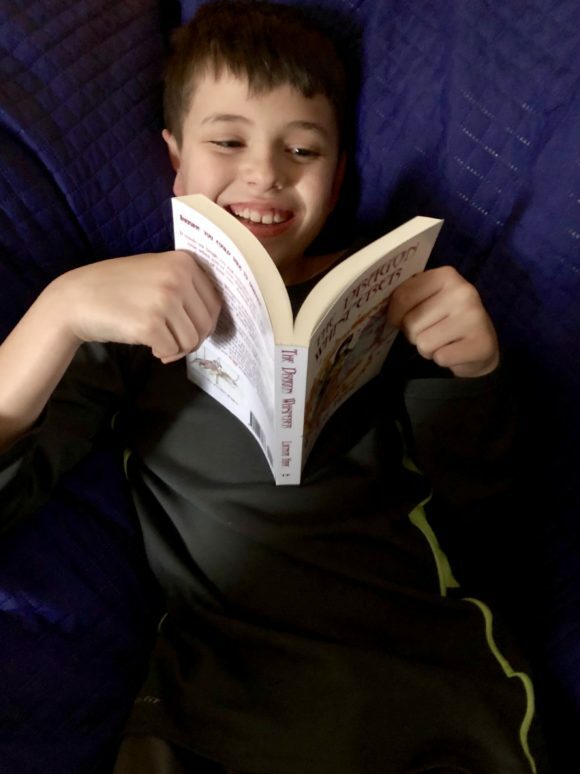 My nine-year-old son recently started the book himself, and he’s enjoying Quenelda’s character as much as I did. But his favorite part is definitely the dragons! 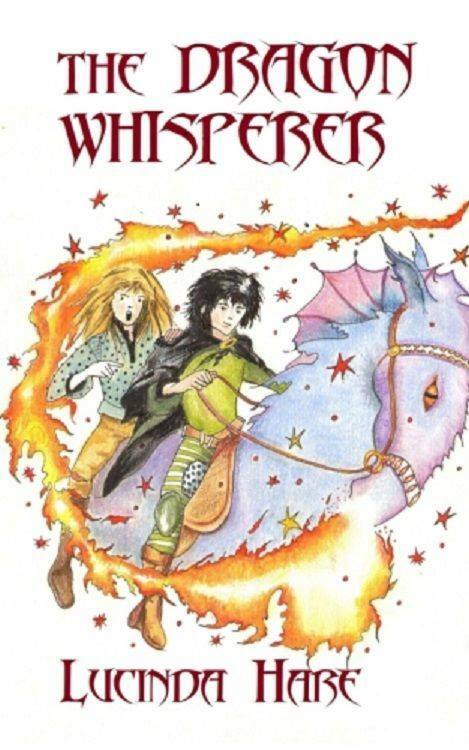 If your kids love fantasy, you have to check out The Dragon Whisperer.It’s perfect for reading aloud to children, and is also great for older kids (I’d say fourth grade and up) to read on their own. The best news? It’s the first book in a series, so if you enjoy it as much as I did, you’ve got more adventures to experience. I highly recommend letting your imagination fly high with Lucinda Hare’s The Dragon Whisperer. 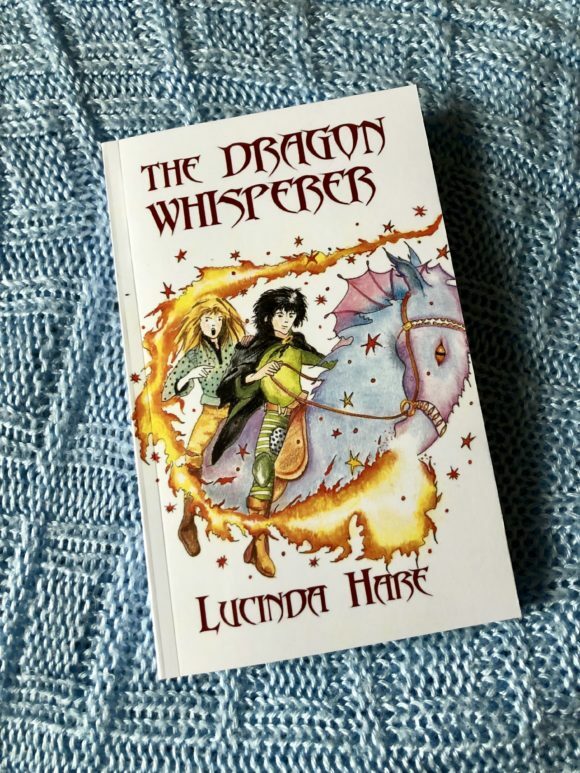 Lucinda Hare’s ‘The Dragon Whisperer’, book one in the cinematic award-winning series ‘The Dragonsdome Chronicles’, is described by The Sunday Times as “One of the most captivating new books to be published for 8+ for some time . . . It made me laugh, cry and remember exactly what’s so special about the time when you or your child live in hope of finding a dragon of your own.” The Dragon Whisperer, which went on to be shortlisted for the coveted Royal Mail Awards for Scottish children’s Books and to win a Moonbeam Children’s Books Silver Medal for Best Chapter Book was relaunched in time for Christmas with new cover and chapter artwork. Click over to the Dragonsdome site to learn more about this fantasy book series. Want to get inside the book for a preview of The Dragon Whisperer? Watch below as Jenn takes you inside the book with a reading of The Dragon Whisperer chapter 1. To help cover the costs associated with running a site like Jersey Family Fun, we participate in affiliate advertising programs. These programs pay us a small commission when readers purchase an item by using our links to it. You can help support the Jersey Family Fun site by purchasing TThe Dragon Whisperer through the following link. The book is available as a paperback and in Kindle format. The Dragon Whisperer on Amazon. Crystal Paschal is a writer, marketer, activist, and mom of three boys. When she doesn't have her nose in a book, she's writing about them on her blog, Fundamental Children's Books.